We are pleased to announce the pre-availability of Old No. 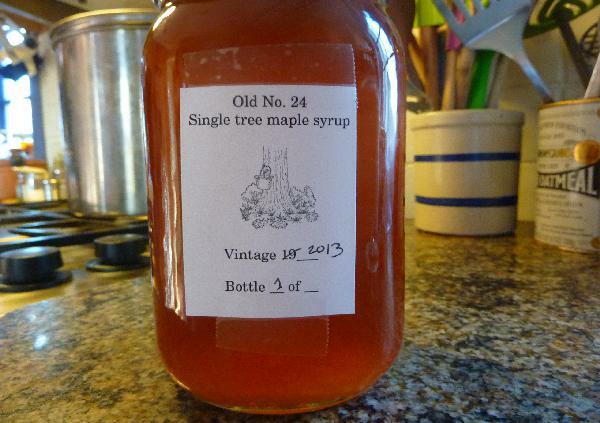 24 maple syrup, vintage 2013. And if you can't afford it, talk to us about our five-tree sugarbush, this year producing more than four gallons!